The Nationwide Insurance: Chris Heath Agency Inc. in Hartsville, SC provides the following products. To learn more about each insurance product, click on the links below. Understanding car insurance does not have to be a hassle. At Chris Heath Agency Inc. we believe protecting your vehicle should be simple. Chris Heath and Nationwide have come together in Hartsville to provide you with quality insurance at an affordable price. The protection we provide is meant to reduce your stress and decrease the time it takes to get you safely back on the road after an accident. Because we're local to your area, getting the right protection for your vehicle is easy. Chris Heath Agency Inc. is conveniently located in Hartsville to better serve you, and Chris Heath is available to speak to you and find the right protection for your car. Come visit us at 305 S Fifth St. Homeowners insurance is a crucial part of owning and protecting a home. 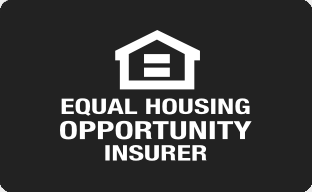 That's why the Chris Heath Agency Inc. has worked so diligently to understand the insurance priorities of 29550 homeowners and their residential properties. In fact, the exact location of your home may mean your home's risk profile is slightly different from that of your Hartsville neighbors' right down the street. No matter the specifics, Nationwide has coverage that's right for your Hartsville home, and our agents can help further personalize your homeowner's policy. How so? Beyond the location, the property itself often has very different kinds of assets that can be protected through home insurance coverage. The structure and dwelling coverage are the backbone of most policies, but Chris Heath Agency Inc. offers plenty of additional coverage options through Nationwide. These options cover things like a detached garage or other buildings, contents and valuables, or even a number of exclusive coverage programs like Better Roof Replacement®. Plus, if the time ever comes when one or more of our homeowners need to return a home to its former glory, the Nationwide On Your Side® Claims Service offers extra peace of mind. Our office is located at 305 S Fifth St. But our home insurance expertise extends throughout the greater Hartsville area. Call the Chris Heath Agency Inc. at (843) 332-6471 to get our take on the best way to protect against potential homeowner damages. When you’re ready to purchase life insurance, it helps if you start off by choosing a good life insurance agent in Hartsville. Whether you already have a policy and are looking to update coverage for yourself or you’re ready to start a family and want to learn coverage options, you’ll need an agent that is as good as the insurer they represent. At Chris Heath Agency Inc., our agents work hard to provide customers with the service and coverage options they need to strengthen their families’ financial security and help them enjoy peace of mind. If you’re not sure how to get the coverage you need or are not sure if your current policy is enough, feel free to stop by 305 S Fifth St, Hartsville, SC, 29550 to speak with Chris Heath. You can also contact them directly by dialing (843) 332-6471. Even if you're opening a new business and money is tight, having some type of business insurance is crucial. Chris Heath Agency Inc. in Hartsville offers a variety of protective solutions such as property insurance, general liability, and commercial auto. While a basic plan may cover you for awhile, we will review your business needs on a regular basis and make recommendations as you expand and add on employees. Some supplemental options that you may be interested in as your company grows include workers compensation, cyber liability, business income coverage in case of an interruption, accounts receivable, equipment breakdown, and protection against theft, forgery, and fraud. We pride ourselves in offering customizable policies to fit every business's needs, which is why we will ask you a number of different questions. Chris Heath will discuss the location of your business, how you operate your company, if you have any employees, the stability of your business, and what you expect for future revenues. Depending on your particular situation, you may also be asked about contractual agreements, specific employee information, prior loss details, and building details. Our goal is to make sure you are properly protected against loss without adding a financial strain to your bottom line. Insurance lingo can be a bit confusing, so we will always go over your policy and make sure that you understand what everything means and exactly what is covered if you need to file a claim. You can make an appointment in our office, which is located at 305 S Fifth St, or you can speak with us over the phone at (843) 332-6471. The Chris Heath Agency Inc. also offers products in GA, NC, SC. Please call for information on products in those states. About the Chris Heath Agency Inc.
We are a full service insurance agency and are proud to serve the CSRA in SC and GA. Our team has over 75 years experience in the insurance industry and our knowledgeable staff are here to provide our members with the right car insurance, home insurance and business insurance to fit your needs. With the Chris Heath Agency you'll feel at home, like a member of the family. Our top priority is doing what is best for you. We'll provide you with the best coverage at the best possible price. Our service is a little old-fashioned. Our service is a little old-fashioned. Nothing is more important to us than customer service. The Chris Heath Agency team receives expert training on a regular and on-going basis in an effort to stay on top of industry changes and trends. Average customer rating for Chris Heath Agency Inc.